Blackened Seasoning is a homemade version of the classic Cajun spice mix and tastes great on everything from chicken and fish to potatoes or vegetables. This is the best blackened seasoning recipe, is super easy to make, can be whipped up in under 5 minutes and stored for over a year! 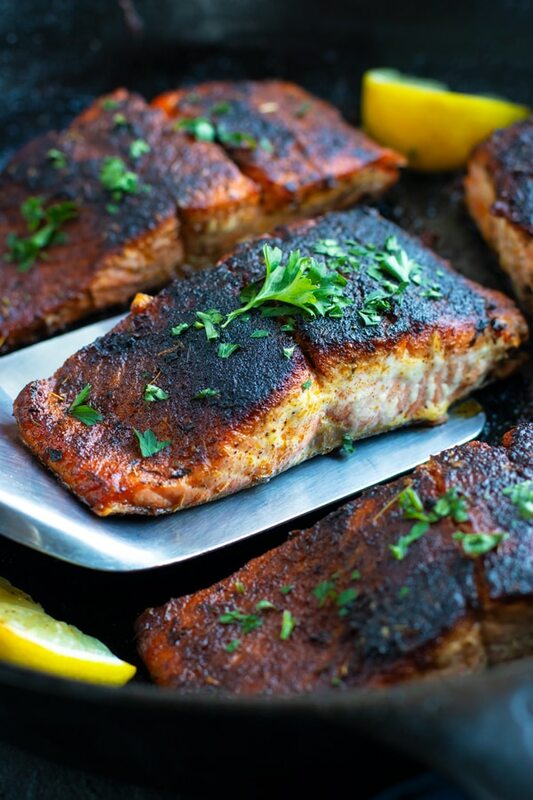 Blackened Seasoning – The Spice of Life! 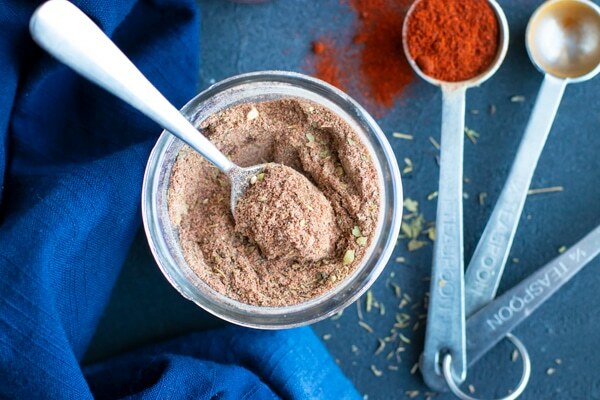 My first foray into making homemade seasoning mixes at home occurred when I was in search of a Gluten-Free Taco Seasoning mix. It was almost impossible to find one at the grocery store. I soon realized how simple it was to whip up your own seasoning mixes at home and store them for use later! Recently I found myself turning to the blend of spices that make up the typical Cajun blackened seasoning mix. 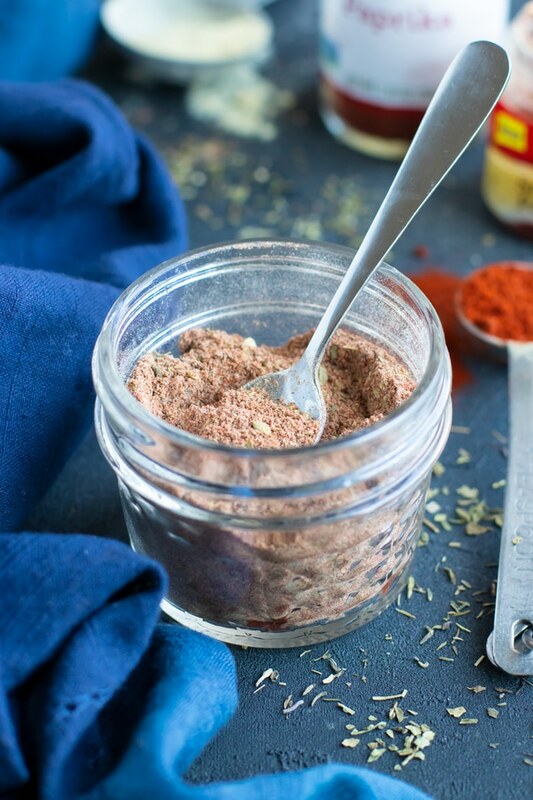 After my third night of pulling down ALL of the spices and dried herbs out of the cabinet, I decided to just make a batch of this blackened seasoning recipe. Since then this blackened seasoning mix has appeared on potatoes, chicken, shrimp, and even a tray full of roasted vegetables. And man does it save a lot of time and mess to not have to mix up a new batch of seasoning every single night! 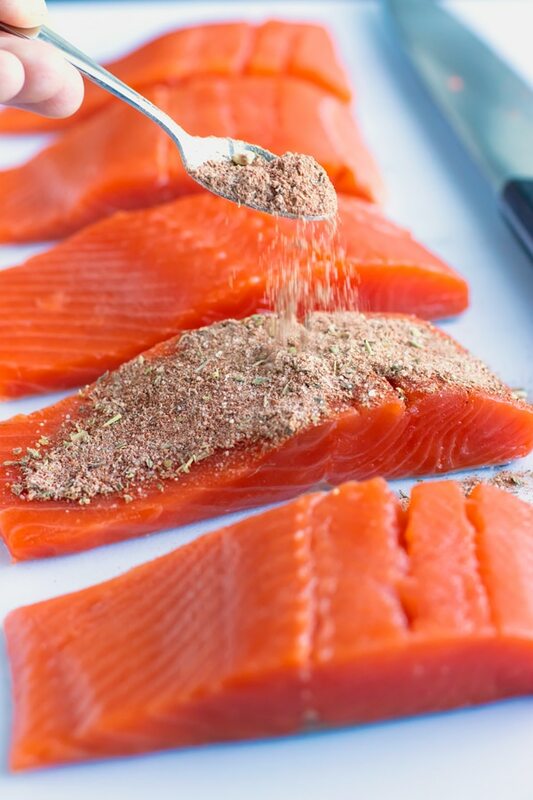 So let’s dive into what is blackened seasoning, how to make this homemade seasoning mix, what spices are needed, the best way to store the spice blend, how long it will last, and what recipes to use it in. Blackened seasoning is a spice blend that is typically used in Cajun cuisine and can be a bit spicy. It is very similar to “Cajun seasoning” and “creole seasoning” so it can be used interchangeably in recipes. You can buy it at the store (Emeril’s is a great store bought one!) or you can make it at home. If bought in the store you will want to make sure you double check the label. Some store bought seasoning mixes may contain sugar, gluten, MSG (Zatarain’s does!! ), or other stabilizers and anti-caking agents. However, if you make this blackened seasoning recipe at home you can be sure it is gluten-free, sugar-free, and can easily be made to have low or no sodium. Paprika – Feel free to use half smoked paprika and half regular paprika for an extra smokey kick! 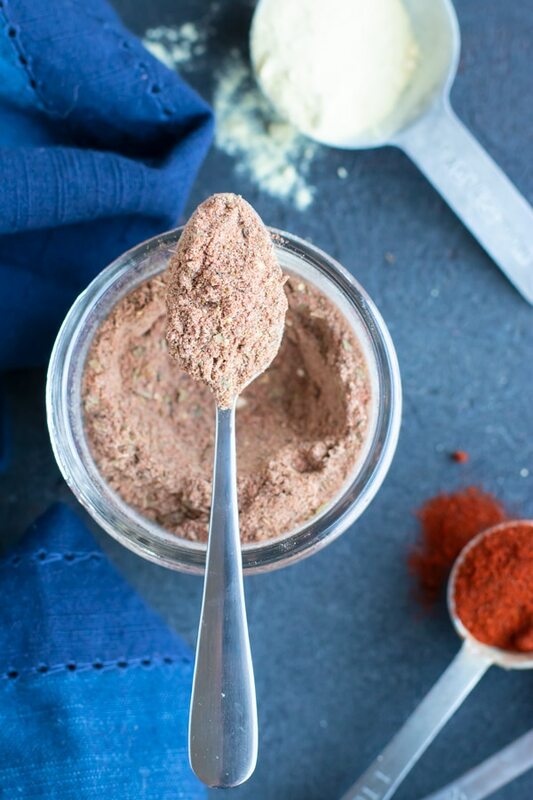 Garlic and Onion Powders – Both are absolutely necessary. Try not to substitute one for the other. Black pepper – A good ground black pepper works great. 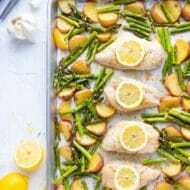 Dried herbs – Thyme, basil, and oregano are used in this recipe. 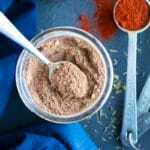 Cayenne pepper – If you want to decrease or increase the spice level in this mix, adjust the cayenne pepper according to your taste preference. Salt – This is completely optional. If you would like to make it completely sodium-free, simply leave this out and add it as needed to future recipes. 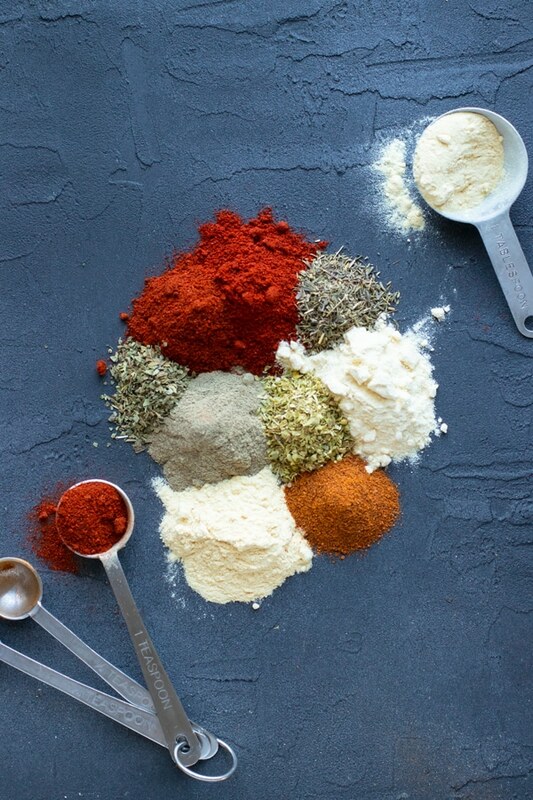 When storing homemade seasoning mixes it is best to place them in an airtight container and store in a cool, dry space. A spice cabinet (NOT over the stove!) or a dry pantry will work great. You do not want too much open air space in the container, so choose one that just barely fits all of the seasoning mix. These 4-ounce mason jars are my favorite to store homemade taco seasoning or blackened seasoning mix in. Do Spice Mixes Ever Go Bad? Technically, no. Homemade seasoning and spice mixes will not go bad, but will definitely lose their potency over time. If stored as described above, blackened seasoning will last for up to 1-2 years at room temperature. This slightly shortened shelf life is largely due to the dried leafy herbs not maintaining their potency as long as the ground spices do. This blackened seasoning recipe can be used for chicken, salmon, tilapia, steak, shrimp, potatoes, or grilled vegetables with outstanding results. I personally believe it is the best blackened seasoning and will liven up just about any boring dish! Blackened Seasoning is a homemade version of the classic Cajun spice mix and tastes great on everything from chicken and fish to potatoes or vegetables. Add all ingredients to a medium-sized bowl and whisk to combine. Store blackened seasoning in an air-tight container (like these 4-ounce mason jars!) for 1-2 years. Use it to season chicken, salmon, tilapia, steak, shrimp, potatoes, or any other recipe that needs a spicy kick! This recipe makes approximately 6 tablespoons of blackened seasoning. Yes it’s so easy just to head to the store and pick up some cajun seasoning but it’s EASIER to just make your own right? This looks great! Will be making my own no doubt!